Based on the observation of nature around you, for example Cascade Head, Salmon River estuary, clouds, mountains, waves, etc., practice drawing focused on the contours and lines against the outer space and make small clay sketches based on these drawings. These clay sketches will become the bases to make bigger forms using pinching, coiling and slab construction. All three techniques will be demonstrated on the first day. This workshop is open for all levels of working with clay. All the work will be bisque fired and you have the option of wood fire with an extra fee. Ruri has been working with clay for over 38 years. After the apprenticeship under master Mashiko potter, Tatsuzo Shimaoka, she established her studio and kiln in rural Sheridan, Oregon. In 2004 she had her anagama kiln (wood firing climbing kiln) constructed, named it FuuKooGama (Wind and Light Kiln). 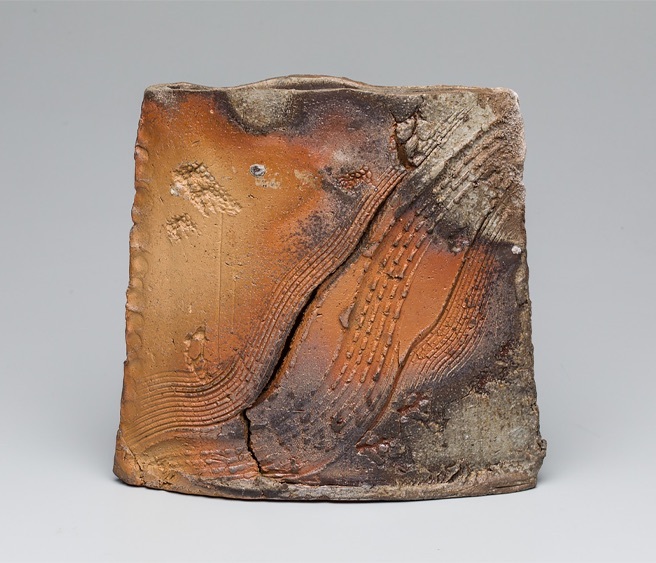 She has been focusing on abstract sculpture fired in her anagama and other wood fire kilns. Nature is her important source of inspiration, as well as all kinds of relationships in our daily life. onion slicer, rolling pins, lazy susan, small sponge, etc.